that there isn't enough room for us to receive it all. that we may not cause harm. and let Thy blessing be always upon us. Recited in the evening: 5 years, (or plenary if said daily for a month). O Virgin, immaculate in body and soul, in thy faith and in thy love, look down with pity on the wretched who in our need seek thy powerful protection. and the fury of hurricanes. or the roar of canons jolt my courage or bravery. 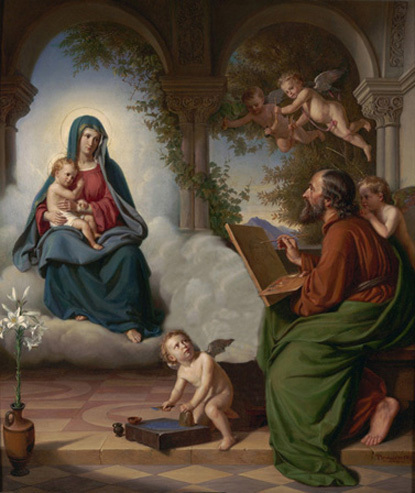 "Let us today entreat the most Blessed Virgin Mary and St. Joseph, not only for ourselves, but also for our families, for all those who surround us. That they may come to the light of Our Lord Jesus Christ who know Him but little, who do not obey him, who distance themselves from Him. Let us have pity on all those souls who do not know the King of love and of glory – in Whom we have the happiness to believe, Whom we have the happiness to love."